Here at Miz Caravans we pride ourselves on being a professional and reputable holiday accommodation provider. Offering a range of great benefits for those visiting the area as well as the nearby resort of Butlins in Minehead. We have years of experience in the holiday industry and can provide a range of quality services for you and the entire family. Over the years we hosted many different groups and types of holiday-makers, so can ensure that no matter what your requirements, we can provide you a comfortable and enjoyable stay at any one of our caravans. We pride ourselves on the quality of the accommodation and the quality of the service provided, from luxury bedding, to the close proximity to the Butlins resort. Offering a secure environment for children, with lockable gates and picnic areas, our caravan facilities will give you everything you need to have a wonderful time during your stay. Guests of our caravans will receive the same level of service and accommodation that is provided at the popular Butlins resort. Each caravans has a good amount of space between them, giving you that privacy but also the ability to socialise with other holiday goers, with the Butlins resort being a short walk away (roughly between 5 and 10 minutes walk). The hire charge of our caravans also include the gas and electricity, giving you one less element to worry about. With each caravan including central heating, you can visit the resort and holiday area all year round, giving you those well-deserved breaks. Our team at Miz Caravans, are always on hand to answer any questions that you might have about the accommodation that we offer, as well as the facilities available. 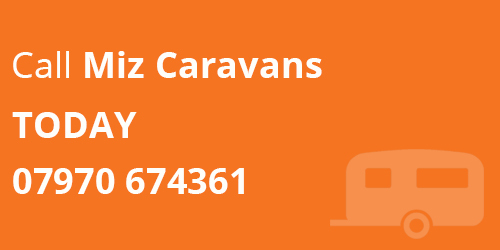 If you have any questions, please don’t hesitate to get in touch with Miz Caravans and we’ll be more than happy to help.